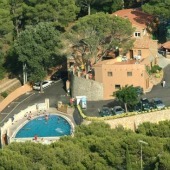 Below is a complete list of all the campsites in Begur. Want to see if Begur’s beaches are the beaches for you? Take a look at the pictures of Begur’s beaches and coves. 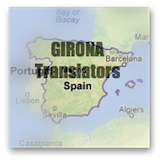 Location: This Costa Brava camping site is situated 1.5 km from the town of Begur and 2-3 km from the beaches of Begur (the nearest beaches are Aiguablava and Fornells). Description: There are electric and non-electric pitches, and bungalows with own bathrooms. Camping Begur is a lovely tree shaded campsite. It also has a bar restaurant, supermarket, free wifi, volleyball, sand football, gymnasium, petanque, tennis, table tennis, swimming pool, aerobics, children’s playground, children’s entertainment, mini farm (with chickens and ducks). Pets are allowed. 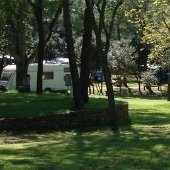 Location: This Costa Brava camping site is situated 300 m from the Begur beach of Sa Riera and 2 km from the town of Begur. Description: There are electric and non-electric pitches, and bungalows with own bathrooms. Camping El Maset is spread out over the hillside and so the campsite is terraced. There are only 20 pitches suitable for caravans/campervans with electricity and drainage. The other pitches are only suitable for tents. It has a restaurant, supermarket, internet, football, basketball, games room, swimming pool and a children’s playground.